When planning your project, one of the first things you’ll need to know how to do is measure for exterior shutters. The size of the shutters helps you plan your budget, as shutter pricing is based on the amount of materials needed. Plus, you’ll get to know your house just a little better. One window might be a slightly different size than another. That’s not a problem, but it does give one more example of why getting custom-fit shutters is so important and how it can keep the right aesthetic balance. Always take two measurements. As each window is not created equal, the measurements you take at the top of the window will vary slightly from the one taken along the bottom. Measure the opening along the top of the window, then measure along the bottom. 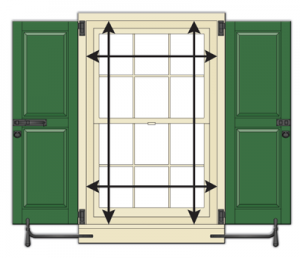 The height of one side of the window will probably be different from the other as well, so take a right-side measurement and a left-side measurement to ensure complete accuracy. Note the window frame width, as well as the wall’s texture. Is it covered with brick, stone or siding? Keep in mind, that unless your shutters will be used functionally, the slight measurement variations (1/4” or less) commonly found in historic homes are not a major concern. 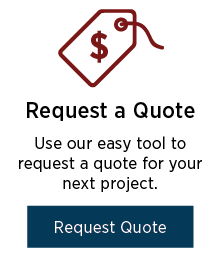 Call a Timberlane expert at 1-800-250-2221 for additional assistance. We’re here to help. Sometimes, homeowners want to match existing shutters on their home or additional buildings. If your stile and rail dimensions are different than our standard offerings, that’s okay. 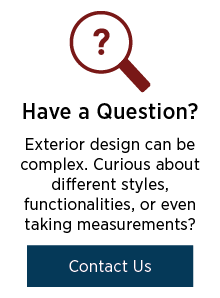 We frequently customize these elements for these types of situations. Measure panel configuration/existing rail placement (C): If there is more than one rail, we need the distance from the top of each rail. It’s quite common when matching existing shutters that the various rail and stile dimensions may differentiate within a single shutter. Note: for louvered shutters, the middle and bottom rails can fluctuate due to the width and spacing of louver blades. The “high point” of a radius top shutter (also known as the “long side”) is the length from the bottom (B) of the shutter to the tip of the shutter’s arch (A). The “high point” will always equal the shutter length. The “low point” (also known as the “short side”) begins at the bottom of the shutter (C) and extends to the “low point” of the arch’s radius (D). If you’re ordering a “tombstone” shutter, follow the directions for radius top shutters, unless you know for sure that the top of your window is a perfect half circle. The top of each shutter will be exactly one half of a circle. 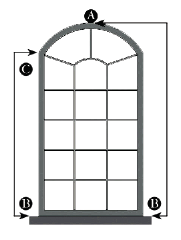 The “high point” of a radius top window (also referred to as the “long side”) is the length from the bottom of the window (B) to the tip of the shutter’s arch (A). 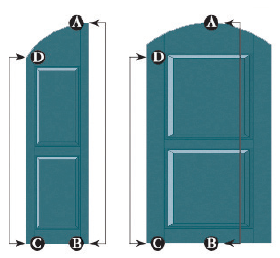 The low point (also known as the “short side”) begins at the bottom of the window (B) and extends to the “low point” of the window arch’s radius (C).